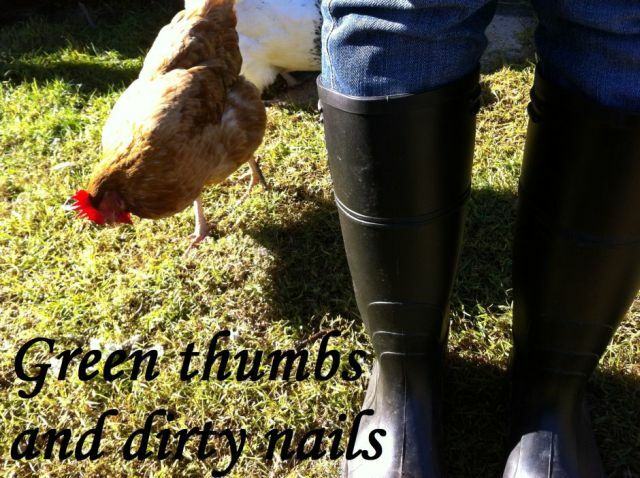 Green thumbs and dirty nails...: The greenhouse in Spring. Speaking to my dear friend Mel recently, I was lamenting my struggle to keep my seedlings moist in the greenhouse. She had sent me photos of her seedlings recently that were planted at least two weeks after mine, and from the same batch of seeds. Mel's seedlings were so healthy looking - so big! I couldn't work out where I was going wrong. I described to Mel how I was suspected I wasn't watering them enough. She asked, "how many times are you having to water them?" I answered "at least four". Mel answered "perhaps you need to move the greenhouse into the shade?" I hadn't considered the sunlight! Without the option of moving the greenhouse, the only choice I had was to erect some form of shade cloth to protect my seedlings from the direct sunlight. It was late on a Sunday afternoon so proper shade cloth was not able to be sourced. I had a six day working week ahead of me, so the problem had to be solved then and there. I found an old sheet that I covered the greenhouse with, securing it in place with pegs and tape (it is still in place a few weeks later!). The results were noticeable within 24 hours. The seedlings stayed moist the whole of Monday, and only needed light topping up on Tuesday morning. Since then they have thrived and grown faster than I thought possible. Once I have the time I plan to make a more permanent structure of proper shade cloth, but for now my thrifty sheet will do. Alys Fowler would be proud. Thanks for being my sounding board Mel!